Even if you don't like bluegrass (who are you? 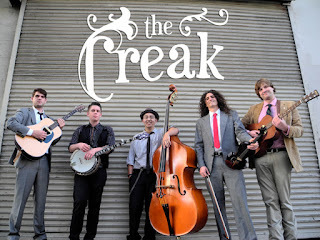 ), it's hard to resist The Creak's charm. I mean, look at them. They're so dapper! The San Francisco-based quintet plays as if they're of one mind. Their humorous lyrics remind me of early Roger Clyne/The Refreshments: beneath those sharp one-liners is some deep pathos. But don't worry about that. They're nice guys. They'll see all those hard times through. Fans of Greenland is Melting should definitely take note of The Creak. 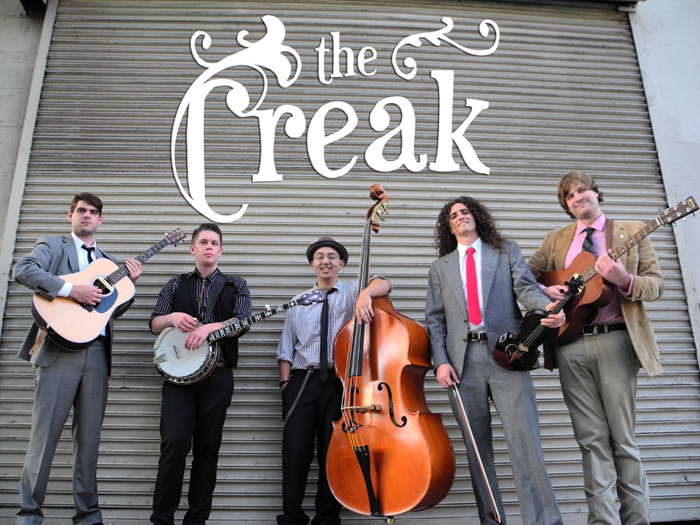 Like Greenland is Melting, The Creak incorporates punk elements into their songcraft...and they have a song about zombies. That being said, the five of them clearly take their songcraft and musicianship seriously. When I listen to their songs, I find it hard to believe that they're not of one mind. Give 'em a listen. What a cute bunch of boys! They play good too. PS - You win the prize for being the first person to write a comment on this site!